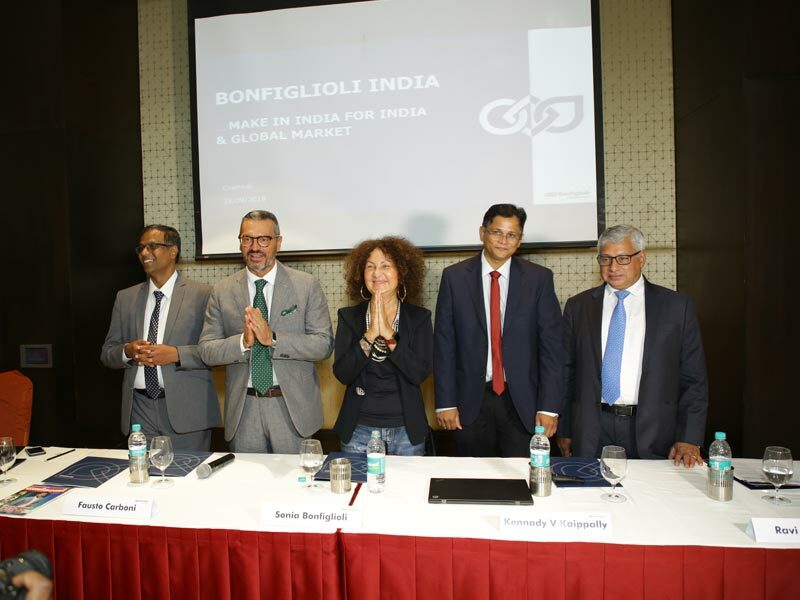 Bonfiglioli Transmissions Pvt Ltd – the Indian subsidiary of BonfiglioliRiduttori S.p.A. — worldwide leader in manufacturing gearboxes, gearmotors and drive systems — continues its expansion with a new manufacturing facility in Chennai, India. Operations commenced in September 2018. The new 132,000-square-foot facility has been built adjacent to the existing plant at the SIDCO Industrial Area in Thirumudivakkam. It houses modern assembly lines, a global R&D center and test labs, all built to the highest quality and safety standards, consistent with Bonfiglioli locations worldwide. With a capacity of 75,000 units per year, the new facility will enable Bonfiglioli to serve existing and new markets and customers in off-highway, construction, mining, agriculture and material handling applications. This new investment is part of a wider expansion plan for India, which includes the existing facility in Chennai and a plant in Mannur, located close to Sriperumbudur, both focused on making gearboxes and gearmotors for mobile machinery, wind turbines and industrial processes. Meanwhile, the recently opened assembly plant in Pune, western India, provides 90,000 units per year, serving customers in the food, packaging, cement, steel, pharmaceutical, textile, material handling, sugar, power generation, paper and water treatment sectors. Bonfiglioli’s 2017 revenue in India reached 7,332 million rupees, equal to 91.65 million euros, with a growth more than 80 percent over the past 5 years. With the new facility in Chennai, the company expects to continue growing in the next year.